Bermuda Overseas Missions [BOM] will once again partner with Habitat for Humanity in 2015 on a summer mission to Malawi, in East Africa. David Thompson, BOM President says, “We are very excited to announce that the 2015 trip in conjunction with Habitat will be to Malawi in Eastern Africa. This is a wonderful country, with beautiful scenery and warm-hearted people. “While details of the trip are still being worked out, it is anticipated that up to 40 volunteers will join BOM on the trip of a lifetime to a rural village in Malawi and help construct homes in the traditional style and using native building materials. Mr. Thompson continued, “Many Malawian families are large with 6 or 7 children and it is not uncommon for all the children to sleep on the floor in one room while the parents are in another. Having a roof over ones head is a fundamental aspect of basic human dignity and the BOM volunteers will be making a serious contribution to help house up to 10 families during our 2 week trip”. 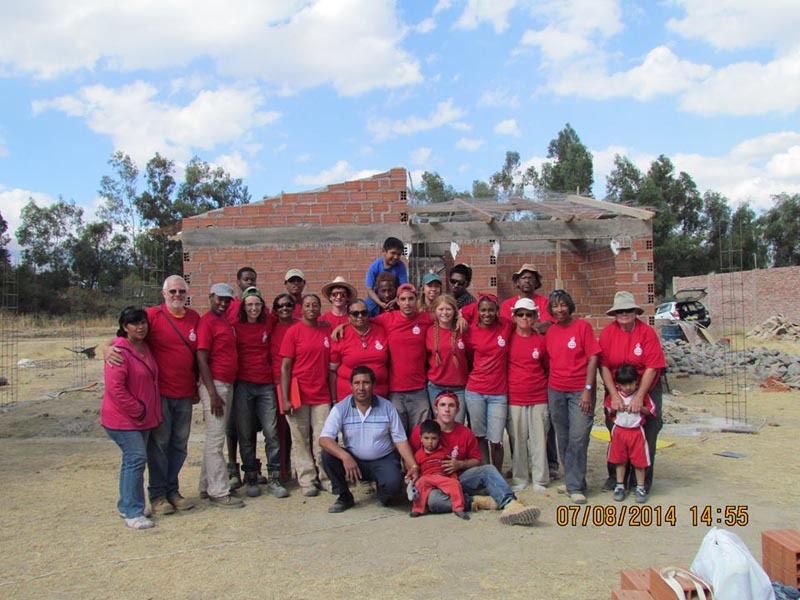 Here is the BOM 2014 team in Bolivia in front of a house they built with the very happy family/new home owners. A meeting will be held at 6 pm Thursday evening, January 22 at Christ Church, Middle Road Warwick, where Mr Thompson will be outlining plans for the trip and hopes that any persons interested in joining BOM in Malawi will attend. To learn more making a donation to BOM or about joining the Malawi trip please contact Mr Thompson directly at 705.4600 or email David@ams.bm.